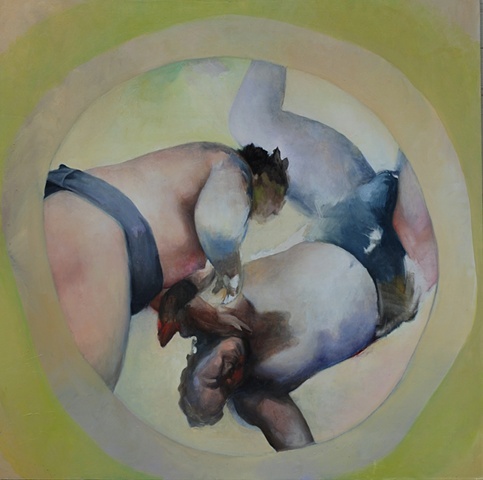 This painting of Sumo Wrestlers is a painting about conflict, compression, spinning out of control, a painting of a high pitched tension and intensity. It is 4 feet x 4 feet and is unframed. It is signed on the back. All copyrights are retained by me. All shipping costs to be paid for by the Buyer.